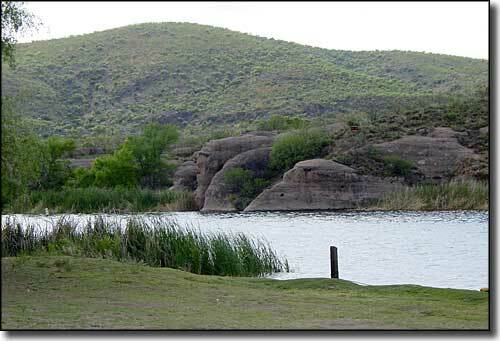 Patagonia Lake is about 2.5 miles long and covers about 250 acres. 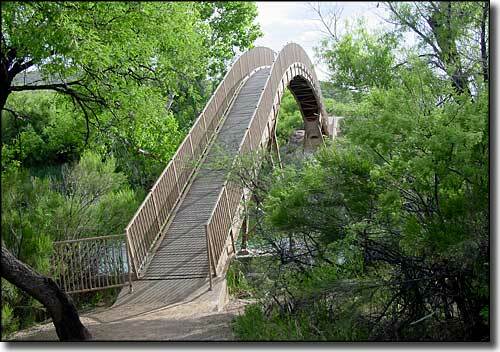 This is one of the premier water sports locations in southern Arizona. The eastern half of the lake is a designated no-wake zone so that the fishermen can try their luck with the rainbow trout, crappie, bluegill, bass, and catfish almost undisturbed. The lake is so popular that water skiing or towing a recreational device is banned on weekends and holidays from May 1 to September 31. Patagonia Lake State Park offers a swimming beach, picnic ramadas and boat rentals at the marina store. There are also hiking trails, boat ramps and a campground with 72 developed sites, 34 with power and water hook-ups, 12 with boat access, restrooms, showers, and a dump station. 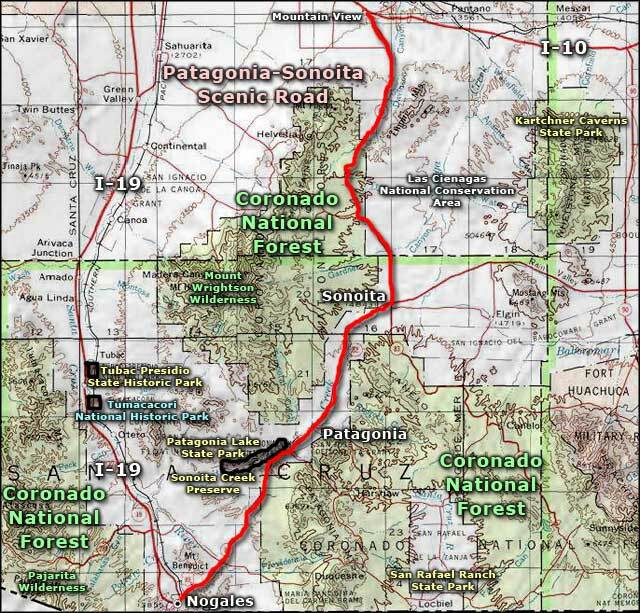 Patagonia Lake State Park is about 7 miles south of the town of Patagonia on State Route 82, then turn west and go about 4 miles on Patagonia Lake Road. The park gates are open 7 days a week from 4:00 AM to 10:00 PM, but day use hours are from 8:00 AM to 10:00 PM. The park sees so much traffic in season that closures are a regular occurrence. No pets or glass containers on the beach. No wood gathering. Keep your campfire in approved fire rings and don't leave the fire unattended. Generators must be muffled and turned off by 9:00 PM. Quiet hours are from 9:00 PM to 8:00 AM. Stay limit is 15 days. No jet skis or jet boats allowed on the lake. All boat traffic is counter-clockwise, and no-wake speed on the east half of the lake. Upper left photo courtesy of Matthew A. Lynn.